One of the signal events in global politics in the last decade has been the transformation of political and civic activism. Not only is the new activism qualitatively different in character from what it was in 2000; its intensity and frequency have dramatically increased. One of the signal events in global politics in the last decade has been the transformation of political and civic activism. Not only is the new activism qualitatively different in character from what it was in 2000; its intensity and frequency have dramatically increased. Activists are developing a new type of civic movement, applying innovative forms of direct action against governments and often operating without leaders or even any well-defined set of aims. 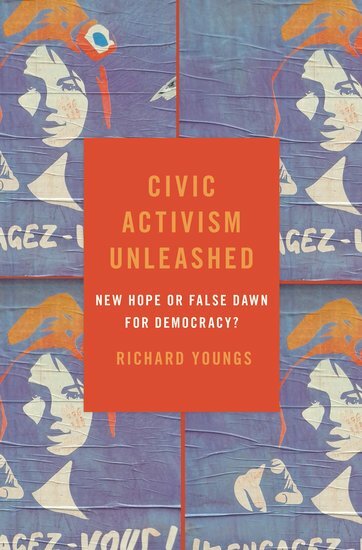 In Civic Activism Unleashed, Carnegie scholar Richard Youngs examines the changing shape of contemporary civic activism. He shows how the emerging civic activism has important implications for the whole concept of civil society-and for the relationship between citizens, political institutions, and states. Youngs contends that the rise and spread of these new forms of direct-action civic activism, and the way the trend has driven the dramatic events in global politics in recent years, requires us to update our understanding of what civil society actually is and which types of organizations are in its vanguard. He further looks at the global impact of recent civic activism and offers a set of variables to help explain cases of success and failure. Youngs' larger aim is to explore in depth the new forms of civic activism that are emerging around the world and assess how they differ from more established practices of civil society activity. Theoretically ambitious and global in scope, Civic Activism Unleashed forces us to reconsider the nature of contemporary social and civic activism and how it is reshaping contentious politics in countries across the world.